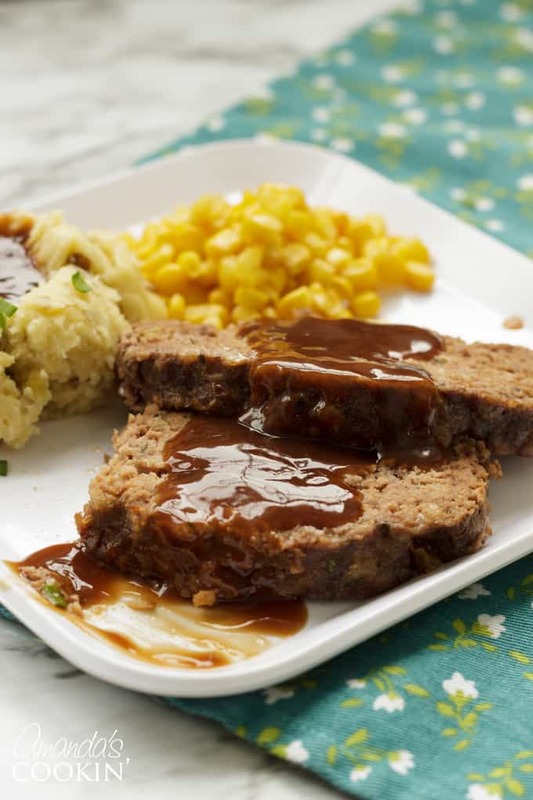 Meatloaf Recipe: we've got the best meatloaf recipe EVER! I’ve always liked meatloaf, especially cold, sliced thin, between two pieces of white sandwich bread with some mayo. Mmmm. Yes, I like it hot too, though I’m not a “glazed meatloaf” kinda gal. I prefer mine with mashed potatoes and brown gravy. Not sure why, maybe because that’s how my parents made it, so that’s how I’ve always eaten it. I have enjoyed it with fries and ketchup too, that’s a tasty alternative, I will admit. Years ago I had always made my meatloaf with a simple seasoning packet. I had tried a recipe from a cookbook several years ago and didn’t like it at all, so I never really ventured out again. 1) I read about Tia’s mind-blowing meatloaf experience here. She found a recipe that turned her from a meatloaf hater to a meatloaf lover. I still have that one bookmarked! 2) I received my Cook’s Illustrated newsletter that featured the recipe I made tonight. So I printed off the recipe from Cook’s Illustrated, run by America’s Test Kitchen. I have yet to try a recipe from them that hasn’t been awesome, so I felt very comfortable trying it. This meatloaf was a huge hit. Fabulous flavor, smelled awesome while it was cooking, and everyone loved it, even my picky husband. 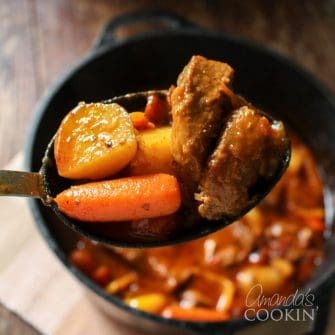 A definite keeper, I’ve added it to my master list of ground beef dinner ideas! 1) Don’t over mix the meat, it will make your meatloaf tough. use a fork, or a wooden spoon, but only mix until everything comes together, you don’t want to compact it and smash it all together. 2) I used a meatloaf pan. 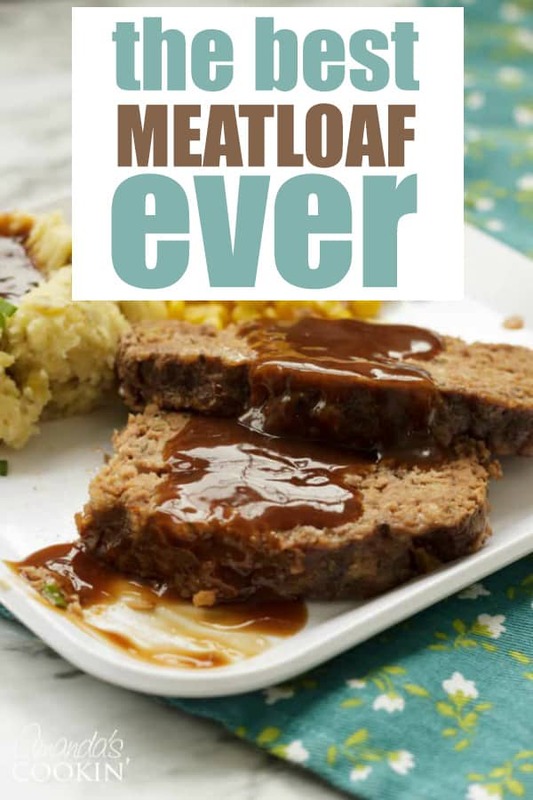 If you haven’t heard of one of these, and you like to make meatloaf, you should have one. It’s basically an 8×4 loaf pan, but there’s an additional insert pan with drain holes that you place inside the loaf pan. The meat cooks in the pan with the drain holes, this allows the fat to drip down away from the meat, landing in the pan below. There’s one at Amazon here , I’ve had mine for quite a few years. 4) There’s unflavored gelatin in the recipe. I’m guessing this helped hold it all together? I am not sure, but it’s not an entire envelope, so be prepared to only use a portion and store the rest for another time. 5) I used the ground beef I get from the farmer. It’s probably 85%. 6) If you use a meatloaf pan when you pull the pan out of the oven, you can run a butter knife around the edges, especially if there’s any fat that pooled around the top and didn’t drip down. This sometimes happens as the meat cooks, it blocks the crevice along the side. Just Jimmy the knife around the loaf and let the fat fall down the side of it so it can drain. Substitutions – I used dried thyme instead of fresh, so I reduced it to about 3/4 teaspoon. I also used chicken broth that I just made last night instead of canned. I froze some juice from some tomatoes I had seeded and chopped a while back, so I used that juice instead of canned. I have also used Mozzarella cheese instead of Monterey Jack, but both are great. If you’re like me and you love comfort food, you will want to try my Italian Lasagna and these Hot Hamburger Sandwiches. or for a side dish for this meatloaf recipe, try this homemade stovetop mac and cheese. This post was originally published on this blog on Feb 2, 2010. 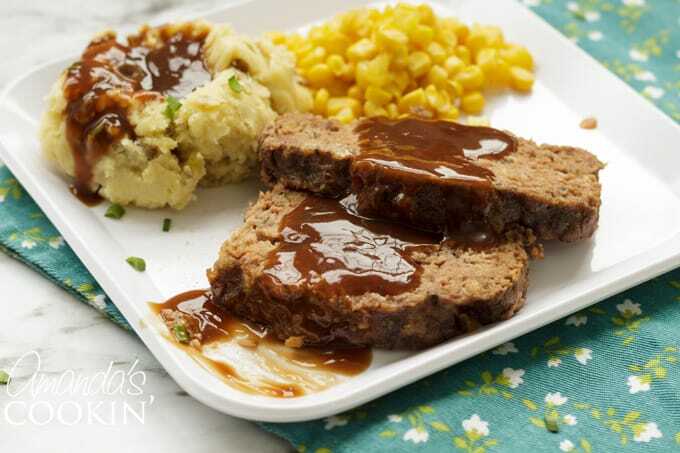 This really is the best meatloaf recipe you'll ever make! 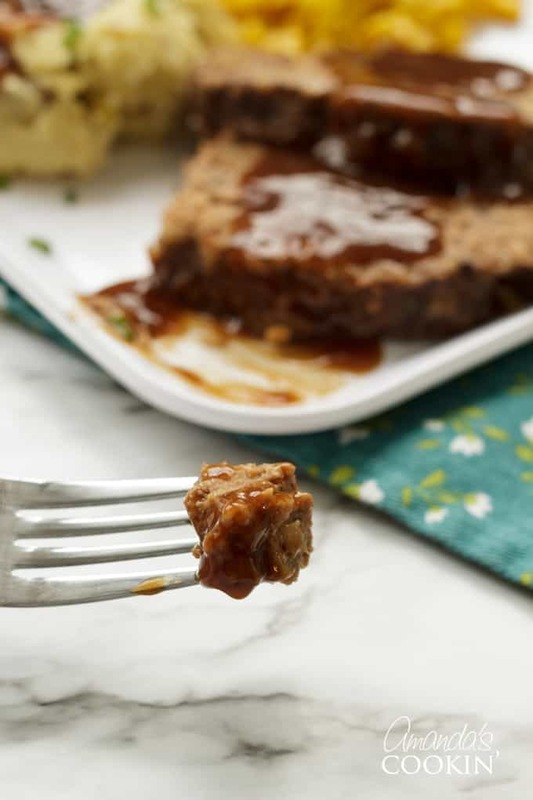 Forget about boring meatloaf and try this delicious recipe. Whisk broth and eggs in large bowl until combined. Sprinkle gelatin over liquid and let stand 5 minutes. Stir in soy sauce, mustard, saltines, parsley, salt, pepper, and onion mixture. Crumble frozen cheese into coarse powder and sprinkle over mixture. Add ground beef; mix gently with hands (I used a wooden spoon, a fork works well too, just don’t over mix it) until thoroughly combined, about 1 minute. Shape meat mixture into a loaf, or use a loaf pan with a removable draining bottom like mine. Bake until an instant-read thermometer inserted into center of loaf reads 135 to 140 degrees, 55 to 65 minutes. See my note #6 above if you are using a meatloaf pan. Remove meat loaf from oven. 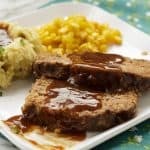 This is the very best meatloaf I have ever made! I used low sodium V-8 and Worchestershire instead of tomato juice and soy sauce because that is what I had on hand and I didn’t have any gelatin either but it turned out perfect anyway! So juicy and yummy. I don’t have a meatloaf pan but I put it on a wire rack over a cookie sheet and all the grease dripped out and away from the loaf!